Camy here: Here's another book I added to my Street Team book giveaway list! You can win this book by joining my Street Team--Click here for more info! A devoted wife and mother, Kimberley Woodhouse is a third generation Liszt student, she has passed down her love of the arts to hundreds of students over the years. About fifteen years ago, Kimberley began writing seriously. 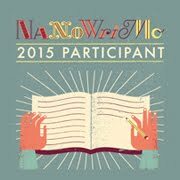 Songs, plays, short stories, novels, picture books, articles, newsletters - you name it - she's written it. It wasn't until a dear friend challenged her to "do something with it", that she pursued publication. 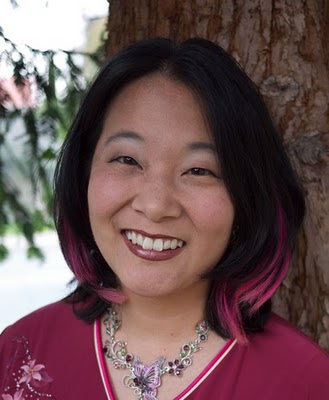 Kimberley and her family's story have been on the front page of newspapers, in magazines, articles, medical journals, and most recently her family was chosen for ABC's Extreme Makeover: Home Edition. They were also asked to share their story on The Montel Williams Show and Discovery Health Channel's Mystery ER. She has recorded three albums, and has appeared at over 700 venues. Kimberley lives, writes, and homeschools in Colorado with her husband and their two children in a truly "Extreme" home. Thirteen-year-old Kayla Woodhouse’s zest for writing comes not only from her natural ability, but also from her love of the written word as witnessed by her voracious reading appetite. One of only a few dozen cases in the world, Kayla was born with HSAN, Hereditary Sensory Autonomic Neuropathy, an extremely rare nerve disorder. Unable to sweat, or feel pain, she’s also been through brain surgery. But even through a life of extreme hardships, her ever-present smile encourages others to pursue their dreams, no matter the obstacles. In addition to being homeschooled and writing with her mom, she’s an amazing swimmer, and spends up to thirty hours a week in training. 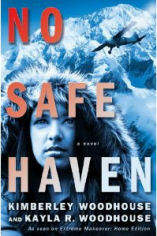 No Safe Haven, her first release from B&H Publishers in 2011, written with mother, Kimberley, makes her the youngest author to have a full-length novel published by a royalty paying publisher. Jenna and Andi Tikaani-Gray are hoping for a fresh start. Though twelve year-old Andi has long struggled with a rare medical disorder, she and her mother have finally received good news from out-of-town specialists. It's news they desperately needed, especially after the recent death of Jenna's husband (Andi's dad) in a car accident. But as they are flying home to Alaska, ready to begin again, the unthinkable happens. The pilot sabotages their small plane and crashes into Sultana, one of the most remote and dangerous mountains in the Land of the Midnight Sun. Even worse, a winter storm is headed their way along with someone who doesn't want to save them, but to kill them. Only one man can keep them alive: Cole Maddox, the mysterious last-minute passenger who joined them on their flight. But trust doesn't come easy to Jenna or AndiÑand they both sense Cole is hiding something. A relentless tale of survival and suspense unfolds, involving military technology designed by Jenna's late husband that some would do anything to possess. Read an excerpt on Christianbook.com!